I’m so excited to be offering Mama + Baby mini sessions again this spring in my greenhouse portrait studio on Edmonton's west side. These short and sweet sessions are a chance to be photographed with your little ones in the comfort of an intimate space. I’ll give you lots of direction to help you look your absolute best but also encourage you and your babies be yourselves so we can create images that show the real you and the deep love you share. The backdrop will be the bright white walls and floor of my greenhouse studio, so bring along your favourite spring outfits and let’s take some lovely portraits of you all together in the gorgeous natural light! Secrets to a successful shoot guide. I will send this to you beforehand to help you prepare! 30-minute portrait session. You and your little one(s) will snuggle and play while I snap away. Bring you own mama, even if you’re already grown up yourself. You’re still her baby! I will also have my dark backdrop available if you’re interested in the iconic black and white style that I offered last time around! Please just let me know before your session and I’ll be sure to have it all set up for you! Sounds good? Ready to book? Let’s do it! I am so excited to announce my newest special: CHALET CHIC BOUDOIR! Inspired by 70s ski chalet culture, this series of images will be photographed in my very own home, one room of which was lovingly decorated in the late 70s by previous owners and still retains the original cozy, vintage charm. Warm cedar walls, a fireplace filled with flickering candles, and knitted blankets to wrap yourself in. 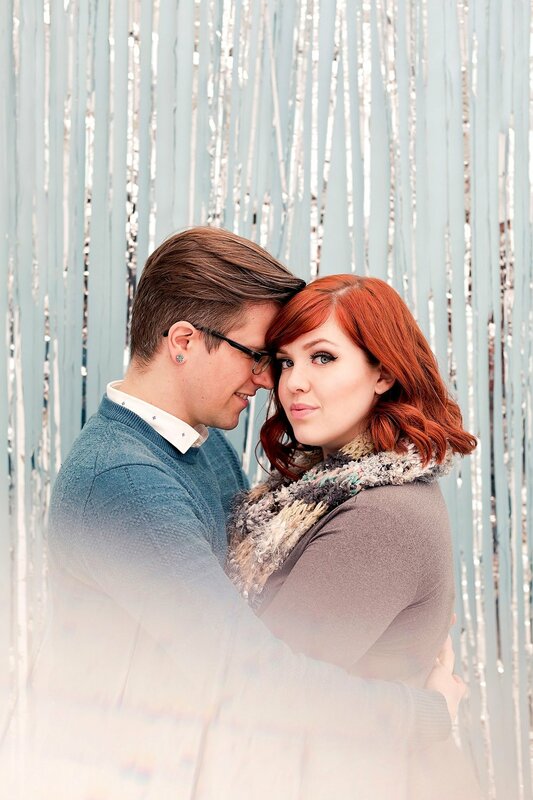 Come cuddle up and feel both cozy and glamourous as we create beautiful portraits together. Full makeup and hair will be provided by Kaitlin from Upstairs Glamour with Blush Artistry to help you feel extra polished, and you’ll receive a styling guide beforehand to help you choose the perfect outfits to bring along. Show a little skin, or flaunt a lot. Be as modest or bold as you like. I’ll be here to cheer you on and help you feel totally fabulous. The pictures will be an exquisite souvenir of how lovely you feel. If you fall in love with more than 15 portraits (and I do hope you will!) you are most welcome to purchase more portraits at $25/image. I cannot be held responsible for how ridiculously hot you will look and feel! Special thanks to my wonderful model Lindsay M. Lindsay’s makeup done by Bree Karolina.